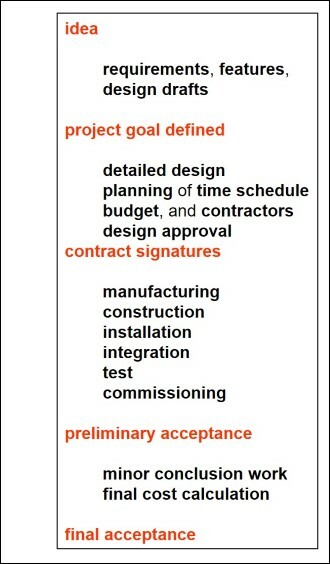 Referring to the generic project life cycle, as we introduced it on the previous page, we define project management as a process that consists of four phases. This specifies our definition of the term project management of page 1. We consider project management being the application of knowledge, skills, tools and techniques to project activities to meet project requirements, organized in a process of those four phases.